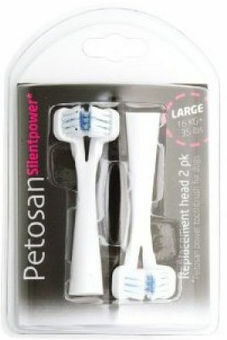 Petosan Silentpower automatic toothbrushes tips. Toothbrushes nozzle must be changed when it looks dirty (about every 4-6 months). Wash carefully in water only toothbrushes head.